Advanced Battlefield Studies (ABS) – Greece also specialises in designing, organising and conducting bespoke (customised) battlefield tours in all battlefields of Greece throughout the year in addition to those listed in the regular schedule. A custom battlefield tour enables you to create a unique itinerary and only visit the sites tailored to your needs. We are providing such tours for individuals, family groups or larger groups from a variety of backgrounds. Your bespoke tour can start at any time of the year and can be as short or as long as you like and there is not a minimum or maximum limit in numbers in the group size. Prices are structured individually according to your particular personal or group requirements. • Irregular Warfare Operations (Tripoli 1821, Dervenakia 1822, Vitsi 1948, Grammos, 1949). • Special Operations WWII, Gorgopotamos 1942 (Op Harling), Crete 1942 (Op Albumen 1942-Op Bricklayer 1944), Rhodes 1942 (Op Anglo), Symi Raid 1944 (Op Tenement). • Airborne Operations WWII (Corinth, Crete, Kos, Leros, Astypalea). • Fortifications and Sieges: Urban Operations (Long Walls, Plataea (429 BC), Tripoli 1821, Athens 1944, Karpenisi 1949). Those who opt for a bespoke program are often foreign travelers who wish to include a battlefield program within their broader plans for holidays in Greece. We will work together with you to devise a study program which strikes the optimum balance between meeting your aspirations and keeping within the budget available. Our bespoke service is totally flexible. Please do not hesitate to contact us should you require any assistance in the planning. 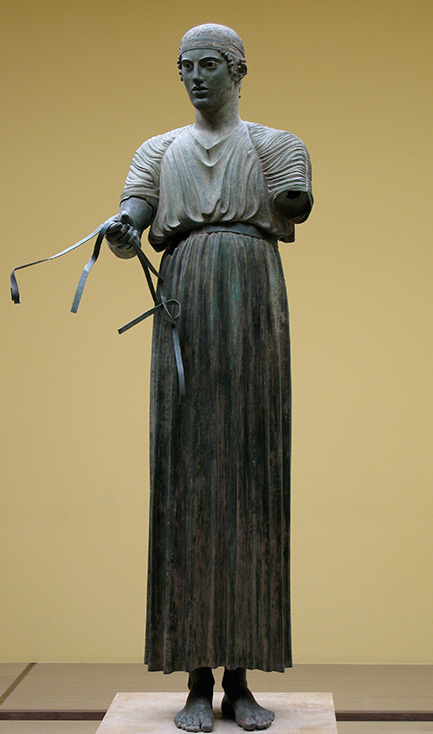 Charioteer, ca 470 B.C. Delphi Museum, Greece.